Governments should recognize that two previous core competencies of nations — work force and financial markets — are no longer an area of differentiation: the work force is global and international finance flows freely. Today, legal, regulatory and policy frameworks, and the implementation of those policies into programs, differentiate governments. Specific to aerospace, the space renaissance trend could evolve to create three strong pillars of a symbiotic industry for long-term success: national security, civil space, and commercial space. We believe a strong commercial pillar leads to an integrated aerospace ecosystem and a secure future in space. Because our specific experience is in the United States, the examples we cite are similarly specific; yet, we believe the principles are applicable broadly. Innovation often comes from academic exploration or government need. Cryptography and GPS are canonical examples of technologies and capabilities that were first widely embraced and scaled by the national security community. Over time, this capability proliferated to allow greater global adoption, and has led toward commercial innovations that resulted in overall integrated connectivity and increased global security. Other times, it happens the other way around, with the government leveraging new commercial innovation in aerospace for rapid demos and established services. We advocate for these ideas because they are beneficial for both government and industry in the short-term, yes. But more importantly, because we believe feedback mechanisms created by such a posture allow any nation to build its own economic engine of new ideas, innovations, and markets — thus ultimately ensuring greater national security. Consider the history of SpaceX. A commercial company with the stated goal to send humans to Mars, they entered the market with a small launch vehicle (that failed its first three launch attempts) and were largely ignored by the established aerospace sector. 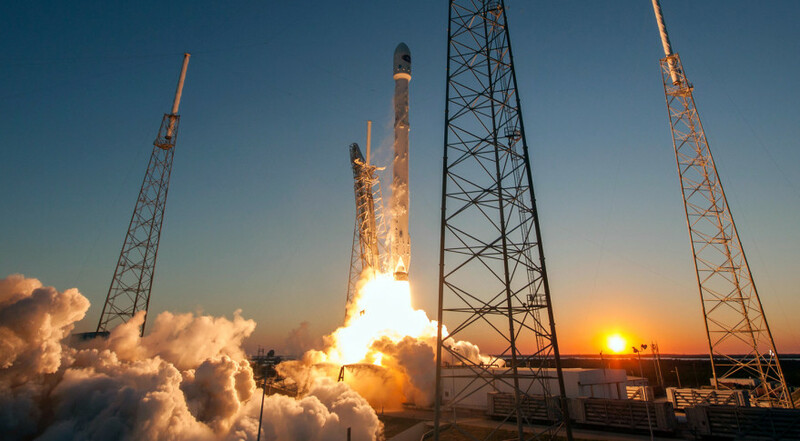 Ten years later, they’re on a pragmatic commercial path advancing technological capability with their Falcon 9 launch vehicle, and competing for a contract to enable assured access to space for the U.S. government. This is commercial industry providing a commercial product to serve a core national security capability. This is one example of a strong commercial pillar leading to a more secure space environment. As the pace of innovation increases and commercial space industry strengthens, government policymakers, missions planners, and program managers will have new critical levers with which to take action: flexibility, confidence, speed, and subtlety. Flexibility is the freedom to choose between single dedicated platforms, distributed (or disaggregated, or proliferated) platforms, government-only systems (classified or unclassified), international partnerships, commercial services, hybrid anchor-tenant relationships, or any mix thereof. For example, with the emergence of commercial disaggregated sensor networks in LEO, some national security and civil operational services can be purchased as a commercial service, which frees up government resources. Moreover, a commercial system with graceful degradation decreases the attractiveness for an asymmetric target, greatly decreasing dangerous escalation responses. Confidence comes from better cost and schedule projections based on performance data from tech and capability demos. It rests in the knowledge that the aerospace industry can and will provide solutions with increased awareness and projections of overall system (or solution) performance with respect to degradation, responsiveness, resiliency, and replenishment. This confidence should also extend backwards from the final technology capabilities to the people that are developing it. The aerospace industrial base and the commercial industry all compete for the same talent, and as more successful technologies and businesses emerge out of the space renaissance, more “intrapraneurs” will stand out and new products will enter into the market from within the traditional industrial base. Speed is the opportunity to adapt or augment one’s solution relatively quickly, based on the flexibility of the solution and the confidence one has that industry is ready to respond. This can come both in terms of near-real-time integration of new capabilities to augment what is in place; or, a decision to more quickly replace existing capabilities and leapfrog a technology generation to more radical or revolutionary solutions. Speed for commercial industry results in continuous improvement of capabilities and rapidly fielding novel services for their customers. If the government is one of a suite of enterprise customers, industry will invest the capital expenditure to meet the market need. Subtlety is the unique combination of explicit and implicit signals that are sent when making decisions in a flexible, dynamic environment; why are some systems dedicated, why is that important, why is a commercial service selected as a particular solution, what are the consequences of interference, what opportunities is the government opening up or cordoning off by making these decisions? This is ultimately one of the most valuable aspects of embracing commercial innovation and leveraging it in government decision making: the capacity to subtly but effectively provide insights into the internal workings of a complex organization to help incrementally improve transparency, communication, and posture toward others. We recognize that there are likely many terms used by policymakers and decision makers that imply the same set of levers or tools we have just described; terms that may have a long-standing place in doctrine or management theory. Nonetheless, we use these terms because they are intuitive to us, and because we think they most accurately paint the picture of the kind of dynamic opportunity governments around the world face, as the space renaissance becomes more mature, and a commercial space sector is strengthened. As such, over the next few years government programs should evolve that embrace the space renaissance in the ways we previously described: partnering with industry for demos and commercial services; implementing new acquisition models; and creating a regulatory environment that holistically combines insight, oversight, and foresight. This is only an initial list. To support the space renaissance fully is initially uncomfortable and requires adaptation in both “high level” strategy and “in the weeds” changes inside bureaucracies and companies. While many national governments have elements of policies and regulatory frameworks for a next-generation aerospace ecosystem, it has yet to be determined which governments will seize the levers of flexibility, speed, confidence, and subtlety to set the pace for a 21st Century aerospace industry.